I’m pleased to be participating once again in the local show, Fire on the Water: Dragon Boat Art , curated by the fabulous Alea Bone of Bonewerx. 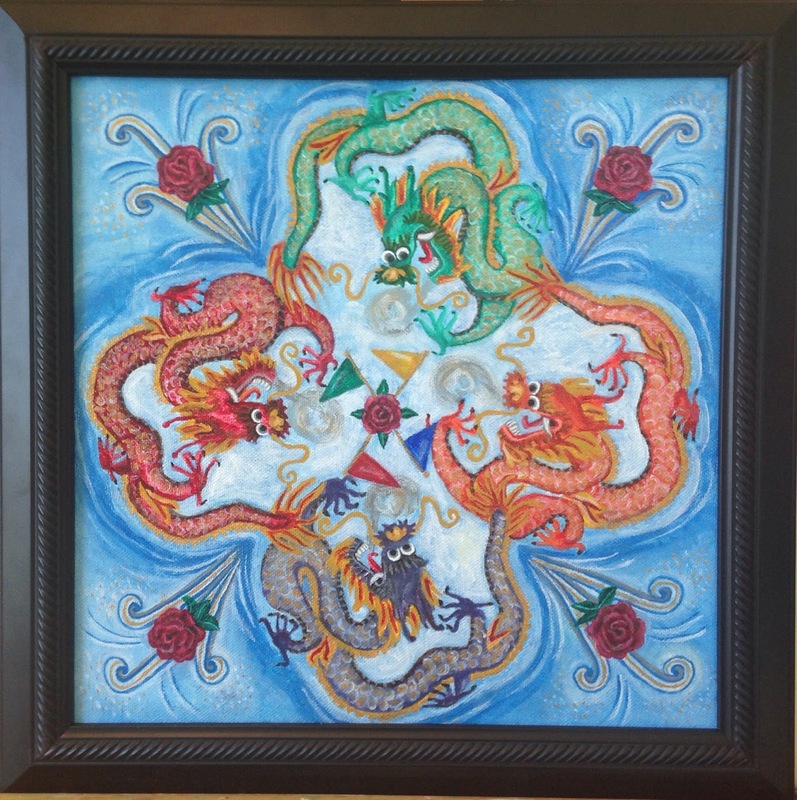 This show celebrates the art of Chinese dragon boat racing, a Portland Rose Festival tradition. The show runs through August 30, and if you’re in Portland, you can see it at Portland’5 Centers for the Arts, 1111 SW Broadway. Join us for the 2nd opening reception on Thursday, July 14 from 6-9pm! My painting (above) is available for sale in addition to many others by local artists. Contact Jeannie Baker at 503-274-6556 for purchase information. This year, Oregon Art Beat also covered the show. Watch the episode here!! Framed and hanging at the show!